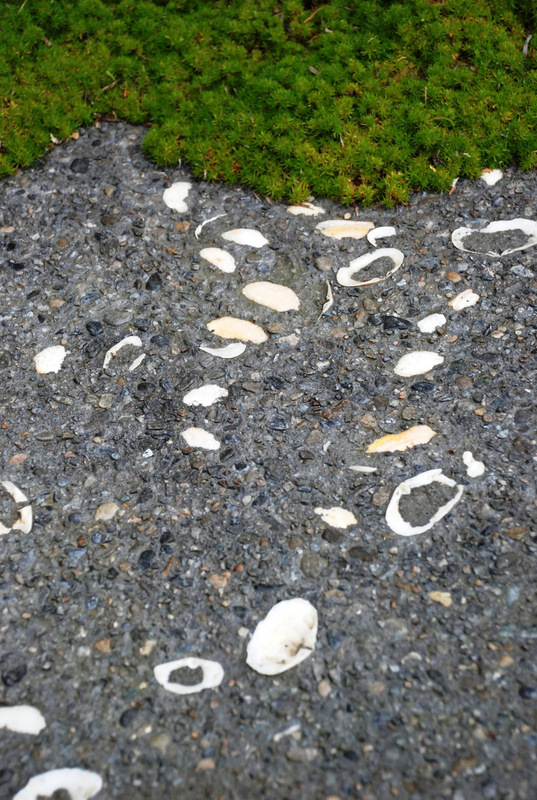 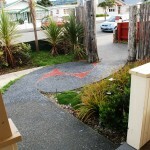 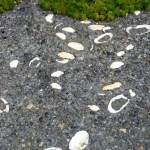 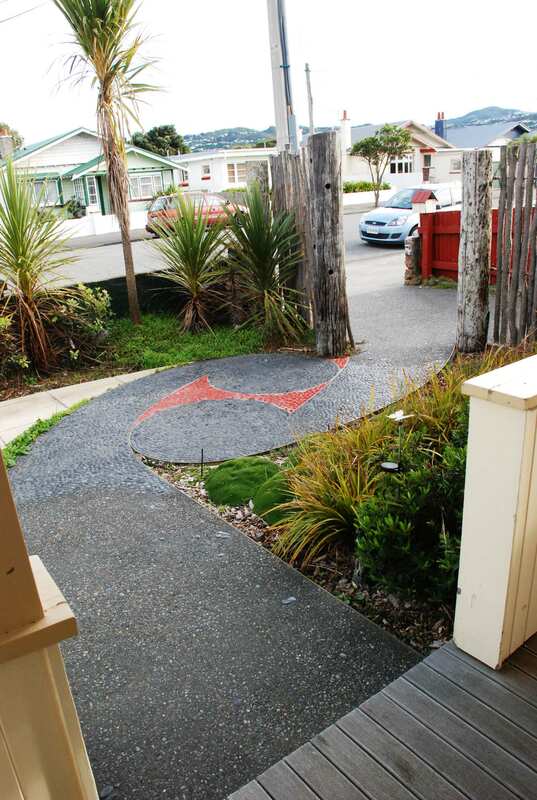 These clients wanted to draw on their Maori heritage in the design and detailing of their garden, with more than a drop of Kiwi Back Yard thrown in! 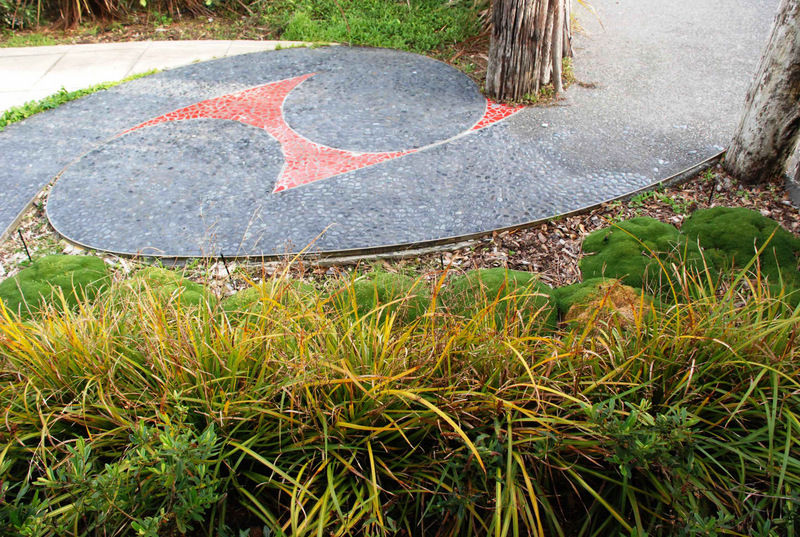 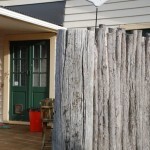 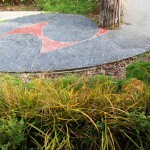 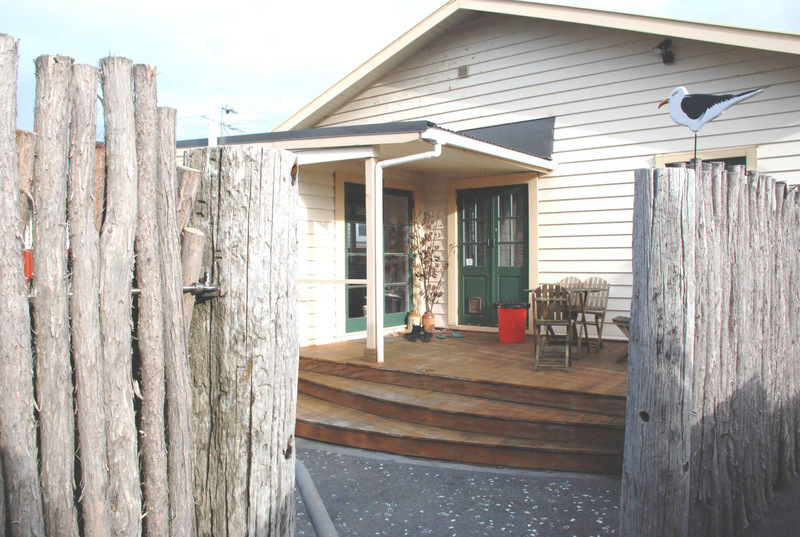 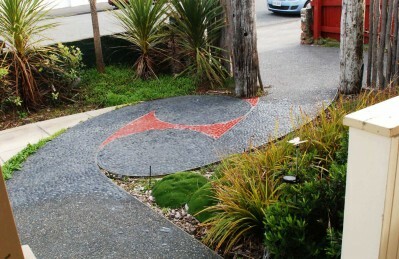 The entrance to this little cottage is past a manuka pole screen , following a double koru path featuring bright red tiles, charcoal pebbles and Black Mondo grass. 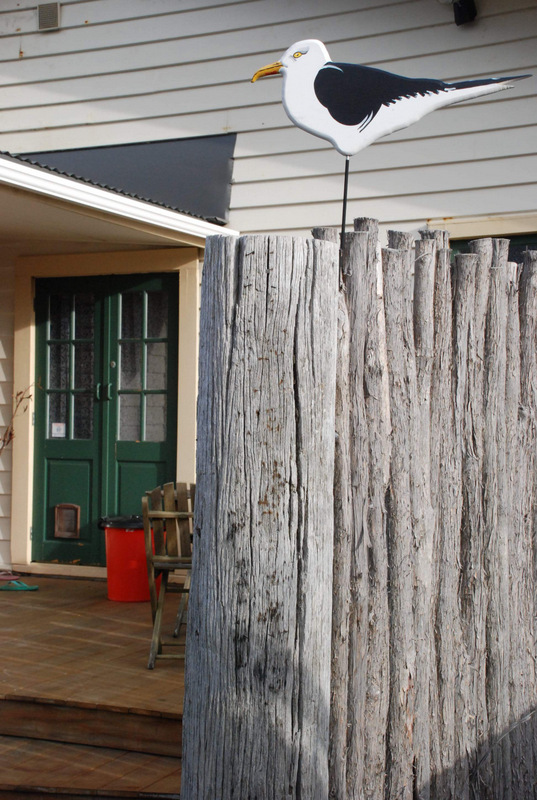 The porch was left in its original style despite my enthusiasm for lowering the front wall and installing a bench seat over it… the clients still enjoy using this area for casual sitting. 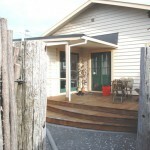 The back garden has an enlarged deck and steps down to a low-maintenance courtyard. There is a outdoor shower for washing down after trips to the nearby Petone Beach, and a well-used brazier area. 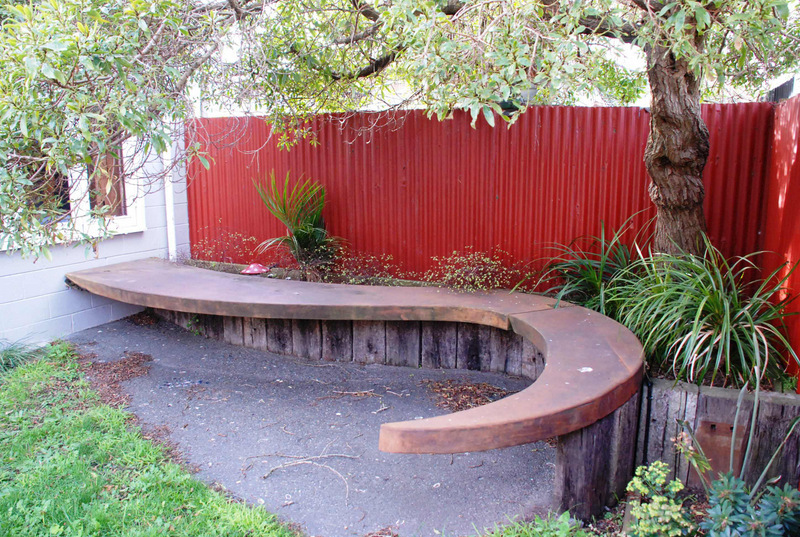 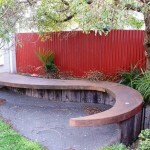 The curved slab seat and raised garden under the Ngaio provides an interesting focal point and a nice place to relax in the last of the afternoon sun.